Need an announcement? Why not Zoidberg?!? In case you missed us on the air this morning with our good friend Finster over at 104.5 BOB FM, we dropped the news that the one of the most prolific voices in animation history will be appearing at #TCC4Year10 ! Please join us in welcoming the incredibly talented Billy West to Cherry Capital Comic Con!!! 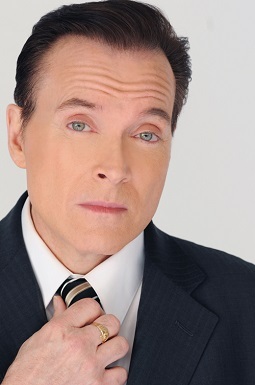 Billy West is an American voice actor, singer and comedian best known for his voice-over work in a number of television series, films, and commercials. A former impressionist on The Howard Stern Show, Billy has done hundreds of voice-overs in his career including both main characters in Ren & Stimpy; Philip J. Fry, Professor Farnsworth, Dr.Zoidberg, and Zapp Brannigan in Futurama; and Doug Funnie, Porkchop, and Roger Klotz on Doug. Billy is the current voice of the red M&M and can be heard on the new show Disenchantment. In addition to his original voices, he has also voiced Bugs Bunny and Elmer Fudd in Space Jam, Shaggy Rogers, as well as Popeye, and Woody Woodpecker during later renditions of the respective characters. Do NOT miss YOUR chance to meet Billy and experience one of the greatest voice talents of all time, as 104.5 BOB FM and 9&10 News present the TENTH annual Cherry Capital Comic Con, May 25-27, at the Grand Traverse Resort & Spa! Get your passes now at MyNorthTickets!